The figure below shows how depressed the OECD countries were in terms of suicide mortality. South Korea, Russia, Hungary, Japan, and Finland were the unhappiest countries in 2009. Have they been depressed all along? Not really. 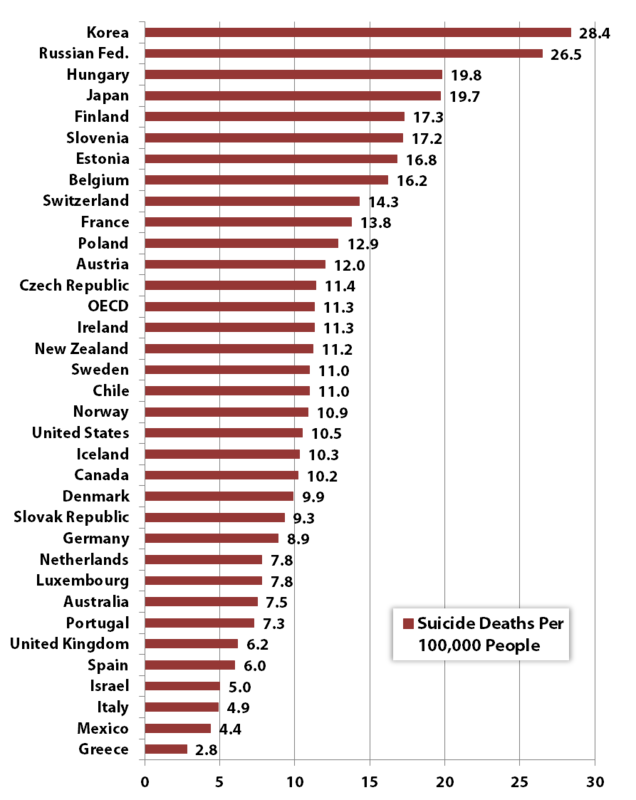 Another figure below shows that South Korea's suicide rate was lower than the OECD average in 1995. 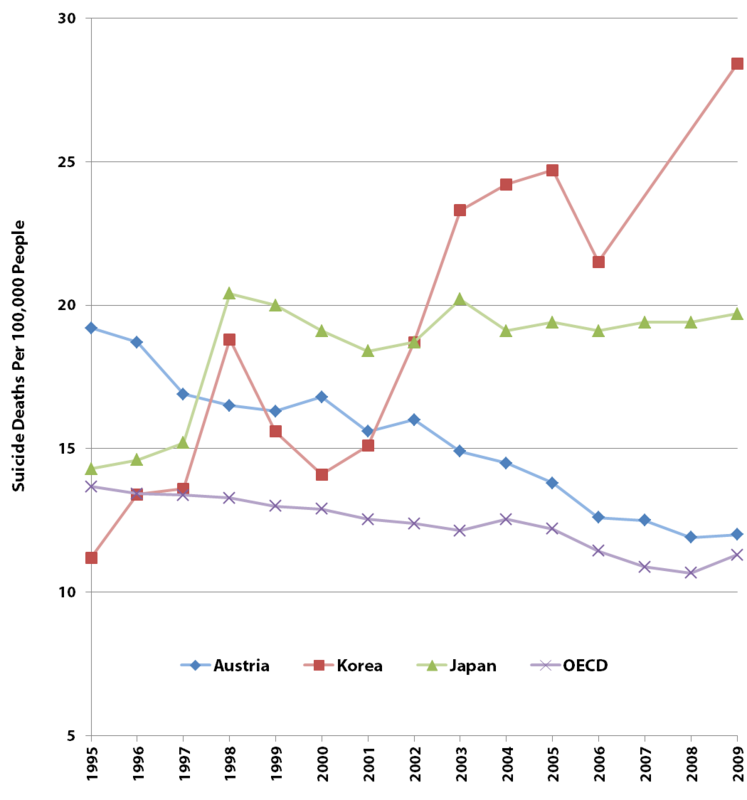 However, suicide rates in South Korea have been increasing since 1995. This grievous hike in suicide rates in South Korea, the country that doesn't (officially) show major symptoms of economic depression. What's happening in South Korea?